Having the right sized team is critical to any successful project and, as they enter new phases of maturity, sometimes it’s necessary to add new members to a team. Our Staff Augmentation services provide the speed, professional acumen and flexibility your team needs to scale quickly and complete development on time. 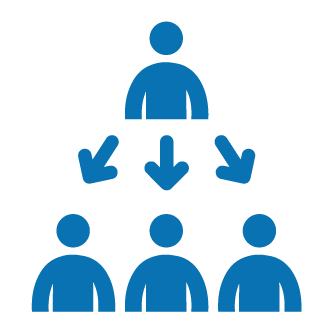 Your Extended Team works as part of your local team, attending your regular daily meetings and reporting directly to your managers. The service is available for every project. No matter how simple or complex: from prototyping to full-scale development of desk, mobile or web applications, testing and systems management. BairesDev’s Extended Team services are a proven, reliable and cost-effective way for our clients to increase the size and productivity of their development teams in minimal time. Comprised of Top 1% IT Professionals, our dedicated software engineers are the best option to rapidly build-up a conveniently located, highly qualified and experienced team. BairesDev’s engineers are assigned to a particular client. Engineers are not allocated to other projects or accounts. Your team’s know how will remain intact over the life cycle of BairesDev’s services. Our hiring process is constantly active to ensure us immediate access to the best IT professionals in the market. More info about our staffing process can be found here: Top 1% IT Talent. BairesDev’s engineers quickly integrate themselves with your team’s processes and report to your team’s management and participate actively in daily meetings and progress reports. Put our round the clock recruitment process to work for your team. Find the right professionals to add to your team in less time. We rigorously test for logical/mathematical reasoning skills, technical ability and soft skills in our interview process. Only those engineers who score highly across each of these areas are presented to our clients. Our Extended Team services are a proven, quick, reliable and cost-effective way for you to increase the size and productivity of your development team with experienced Top 1% IT Talent. From smart customization of pre-developed platforms to full-cycle custom software development, BairesDev is an experienced partner to deliver reliable custom software solutions. You provide the specifications of the software you need, we provide the solution. With BairesDev’s Software Outsourcing Services, the development and execution of your software projects are in the right hands.